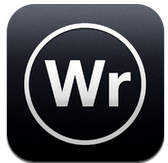 " WriteRoom is the original distraction-free writing environment. WriteRoom attempts nothing more than to create a quiet place for you to write..."
" ensō Writer helps you to grab those thoughts, ideas, inspirational moments. There's nothing more, nothing less: only you with a blank sheet of paper and your words or concept drawings in your head. 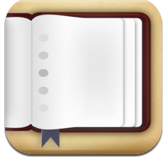 This App is your white, plain, blank sheet of paper that is always with you in your iPhone or iPad....."
" Become more creative with the refreshing distraction-free plain text editor that boosts inspiration and fights writer's block by hiding away extra options...."
" Chapters lets you create and manage multiple notebooks, each fully searchable and with its own settings. 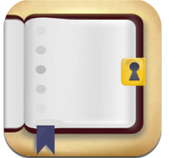 Keep a travel journal, a photo log, a notebook about ongoing work projects, and your own personal diary in one app. Manage writing projects. Create as many notebooks as you want and fill each with as much as you need to write. It's easy to create simple bullet lists and see a word count while you write...."
" Chronicle is simple. It's an effective way to start writing more, now. 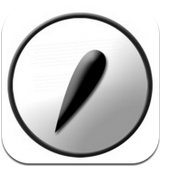 More importantly, the app protects what you write. Export your journal and read it on your computer or enable the Dropbox feature to store your backups in the cloud...."
" ABC Cursive Writing was created to help us all work on our handwriting. The application is fun for kids that are learning the basics of cursive writing. It is also helpful for adults that wish to improve their handwriting. Reduce medical errors due to poor handwriting. 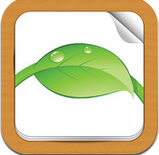 ..."
"SentenceBuilder™ is designed to help elementary aged children learn how to build grammatically correct sentences. Explicit attention is paid to the connector words that make up over 80% of the english language. 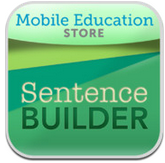 Sentence Builder offers a rich and fun environment for improving the grammar of all children....."
" Great for work. Great for school. Popplet is a platform for your ideas. Popplet's super simple interface allows you to move at the speed of your thoughts. With Popplet you can capture your ideas, sort them visually, and collaborate with others in realtime. Quickly and easily!....." " Story Builder is designed to help children accomplish the following educational goals: 1) Improve paragraph formation; 2) Improve integration of ideas; and 3) Improve higher level abstractions by inference. Extensive use of audio clips promotes improved auditory processing for special needs children with autism spectrum disorders or sensory processing disorders......"
" Give your kids a boost as they start to learn to write - a fun way for them to learn to produce letters.They can work from preset groups of letters or you can enter groups for them to use, perhaps re-enforcing their school scheme. They can also try any collection of letters they want - great for learning to write their name, for example.........."